Wake Forest began as a college town in the 1830’s. in 1820 Dr. Calvin Jones bought 615 acres in the town of Wake Forest. The Calvin Jones House, its plantation out-buildings and carriage house became Wake Forest College, which was later known as Wake Forest University after its move to Winston-Salem in 1956. The Historic Preservation program of the Planning Department has the responsibility of reviewing all development applications within the locally designated Wake Forest Historic District and involving any historic landmark properties. In 1839, the College offered 80 1-acre lots for sale for $100 each in the section of town that is now designated as the Wake Forest Historic District which is North of the downtown area. This historic district includes homes from the early 19th and 20th centuries. There are almost 50 historic homes, buildings and churches that are located on North Main Street in Wake Forest’s Historic District. Take a walking tour of this area and you will certainly feel like you stepped back in time! One of the most amazing and modern planned communities on the other end of the spectrum in Wake Forest is Heritage Wake Forest. This amazing community is home to an award winning golf course, tennis courts, swimming pools, lazy river, hiking, biking and walking trails and much more. This pleasant neighborhood has a very relaxed feel to it, which is very unique. 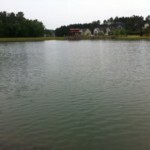 Visit our website and learn about this fantastic Wake Forest golf community. 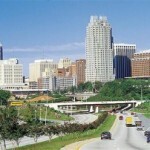 Relocating to Raleigh NC and want to find out more about Raleigh area neighborhoods and search all Raleigh area homes for sale, contact the Capital City Real Estate Group at (919) 886-7355.